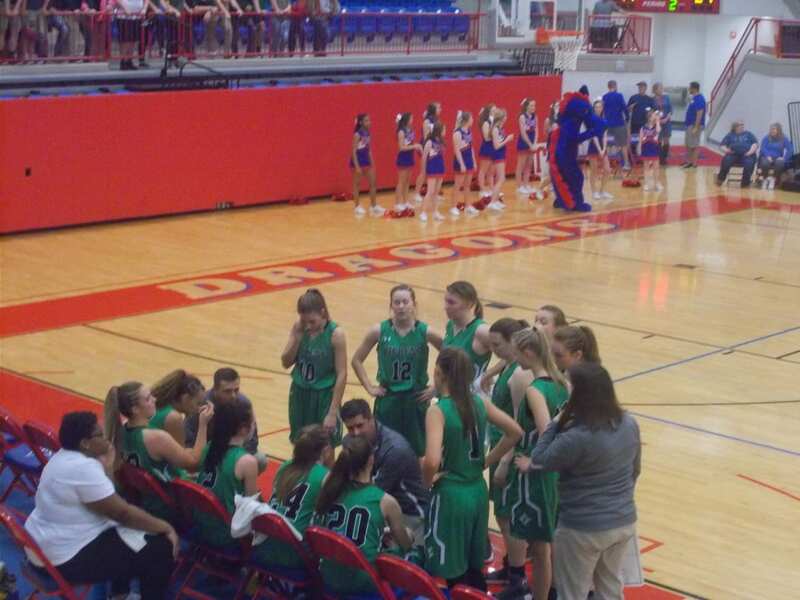 Last night, the PHS Dragonettes varsity basketball team made the nearly two hour trip to Jefferson County to take on the Jefferson Lady Dragons in the Sweet 16 of the 4-A Girls State Basketball Tournament. Pickens, was riding a wave of momentum after hosting a state playoff game for the first time since 2000 last week, & looked to continue that momentum on the road against Jefferson. In the opening quarter, both teams went back and forth early on with the ‘Nettes taking an early lead on the home team. Midway through the frame, the height advantage Jefferson had on Pickens began to become a little bit of a factor as the Lady Dragons used it to help cause a couple of turnovers to take a 17-9 lead going to the 2nd. In the 2nd, the ‘Nettes were finding good looks on offense, but the shots just would not fall for the team in green as Jefferson extended it’s lead. Using a 20-7 quarter advantage, the Lady Dragons took a 37-16 lead over Pickens into the half. The 3rd quarter, saw the offense from the ‘Nettes start to get things going as they started to see the shots go in & were getting to the free throw line. Jefferson, barely outscored Pickens in that third quarter, 15-13, and held a lead of 52-29, going to the 4th. Pickens, ended the game on a strong note, outscoring the Lady Dragons 11-10 in the final quarter of play. Jefferson took this one, 62-4o. Looking ahead for Pickens, they will be losing three key seniors in Shelby Cook, Mackenzie Hampton, & Allie Stephens, but will be bringing back a lot of experience next season. Six of the ‘Nettes seven losses on the season were to eventual state playoff teams. 22 wins is the most a ‘Nettes team has finished with in a single season in quite some time. The arrow is pointing upward when it comes to Dragonettes basketball.